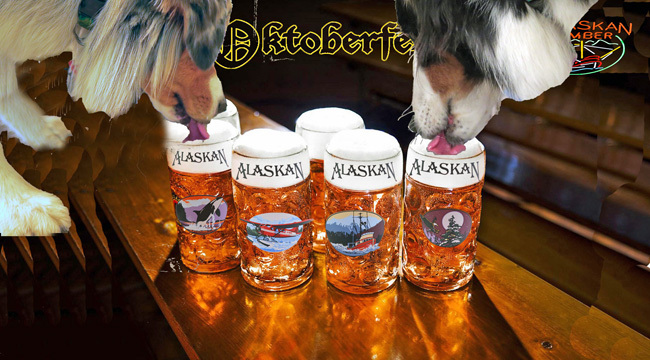 OKTOBERFEST ON CROSSCURRENTS, 10/12 – Doggedly Yours… Howling, Humor, and History. OKTOBERFEST ON CROSSCURRENTS, 10/12: The original festival celebrated the royal Bavarian wedding in Munich of Princess Theresa and Prince Ludwig on this date in 1810 with music and dancing. Gavin and Wyatt attend a domestic Oktoberfest with a taste of their local brew. You are invited to attend the revelries, not in front of the Munich city gate with Prince Ludwig, but rather with John on the radio show Crosscurrents, 10/12 at 8 a.m.